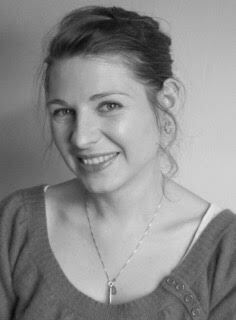 Debs Hoy is the editor of Touch, the quarterly publication of the Reiki Association UK. She is compiling an article on how the unique experiences of the Usui Virtual Retreat continue to heal and transform our world, and needs our help. What an interesting month it has been, and what a relief to have the structure and support of a global Reiki retreat to help me stay accountable to myself in a time of profound transition! After 3 years in America, I had been back in the UK only 10 days when I was invited to join Touch. I have been using the self-treatment time and journaling to reflect upon the changes I am facing now and to stay connected to my truth as I relocate to a new part of England. I am thankful for Pamela’s suggestions to specifically note the sensations felt during Reiki self treatment. 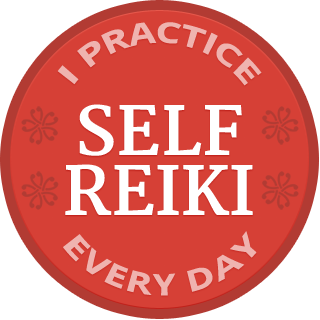 As a writer, I realize a need to specify the experiences of a Reiki session. Describing each session really helped to pinpoint physical sensations as they occur and I uncovered ways to move forward and heal any sticking points as the retreat progressed. I visited my family home and was amazed: remarkable shifts had occurred! My pet allergies decreased substantially, my relationships have improved, and a friend’s veggie garden is blooming after watering it while thinking about Reiki! The full moon on the last day of the retreat saw me complete a cycle of intense job applications and let go of the outcome. Surrendering to the on-going rhythm of Reiki, I am thankful for the gift of practice and this opportunity to hold an awareness of Reiki in daily life. There are many wonderful outcomes from 21 days of focused practice; the effects are far reaching. I have been so enthused by the lively and thoughtful comments on the blog. 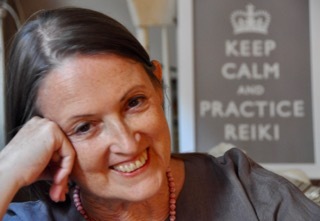 Thank you, Debs, for inspiring others to take the Usui Virtual Reiki Retreat! Want to deepen your Reiki experience while warming up in the winter? Join me for the Heart of Practice Reiki Retreat in Mexico! Let’s stay in touch. Sign up for the email list here! Thank you both for taking the time to share your inspiring experiences. I missed to join teleconference. I really admire the way you are willing to serve Reiki comunity. I was on holidays and could not manage to practice continuously but one day I got time to go through contemplation all at a time! first of all serinity of your voice appealed me. and the message in it is wonderful. It revived my Vipassana Meditation retreat message to settle in whatever it is– pain or plesent sensetions. Once we do it we become free of our anxiety and become peaceful and that is real healing. At physical level After that one session, I am able to walk for more distance and with better speed. Over the weekend when we went out I walked for 2 hours and climbed up and down without any pain. — The transformation message– being hindu our highest goal is the feeling of ‘I am that.’ When I listen I felt like reading more about you and came to know about you were at some time in the monastry in India.— After a few days I asked my husband to join to listen to the contemplation all at once and his pain in feet was gone and has not returned for a week. I have already forwarded this retreat to many of my students. In order to protect everyone from putting email addresses on the blog (invites spam), anyone who would like to reach Deb can email me through my website and I will forward it on promptly. Can you tell me via email what town/city or state and what country you are practicing from please. Also how long you have your been practicing Reiki? It is my hope to generate a feature that reflects the global participation of this retreat. If anyone else would like to share a personal story from the retreat, there is still 1 day left to write to me. Our copy deadline is Sept 15. Thank you so much for the stories that have come in so far, they are truly wonderful and show that some seriously great things have happened over the course of the 21 days of focused practice! Thanks for your comments and your email – I agree the retreat has offered such a great opportunity for self-reflection and the blog such warmth through the sense of shared experienceand supportive discussion. Both together seem to be a winning formula! I am grateful to Pamela for giving me reference to Deb and her publication.Though I have been into Reiki for some years,practising mainly for myself and only once in a while finding someone else among friends and relations who would want to receive Reiki from me,but having been provided this unique opportunity of participating in the Retreat from my own location I have learnt so much by daily practice and by guidance from Pamela and Mari that not only has it refined my way of practising Reiki on myself very greatly but has opened new vistas for me and whetted my appetite to know more and more and reach as near perfection in using this modality as the Scheme of Things may allow me.This practice with their guidance has made me feel more peaceful,energetic and capable of practising for longer periods with the beneficial effects growing progressively.I still have a lot to learn a lot from these two masters,as also to keep discovering new truths intuitively through my daily self practice…I am going to email you also,as Pamela has suggested to me.I am constantly on the lookout for sources and avenues to learn from and exchange Reiki experiences with.I won’t make it too long here just now,but will like to follow it up on reading more comments from Deb Hoy,Pamela and anybody else…I would like to mention here that I have found comments of Karla also very interesting,with a lot of potential of sharing personal experiences for mutual benefit, if Pamela could put me touch with her also in email. Thank you for your openness throughout the retreat, I look forward to our follow up correspondence! Thanks so much for sharing the story of your remarkable healing journey during the retreat, Its so wonderful that you was able to shift so much. I am certain the readers of Touch would love to hear this story! Thank you for your willingness to share. I also have had a chronic problem with my knees, ankles, and feet…each day as I practice the principles, I say ” I know that this is the secret of bringing happiness into my life, and I know that it is the secret medicine for all disease and illness..and I accept this healing energy into my life and body…and am grateful for all the healing that is taking place.” then I would sit and give my legs and feet Reiki. I haven’t had the chronic pain, achiness and neuropathy-like symptoms for over a week now. I’ve been able to walk and be on my feet more than I have in the last year and a half. Last, but not least…I’ve been trying to find a massage studio to do Reiki in . I’m volunteering my time at the Cancer Resource Center with both clients and their care-givers and families. A local spa doesn’t open their massage rooms until 1:00pm, so they donated their studio in the morning..with 4 rooms!! This all happened during the Reiki Retreat. I put out what I needed and got it. I had my first two treatments today in this space and it was wonderful and of course the clients felt great and are coming back for more next month. Thanks for offering to share your story, Karla. I will put you and Deb in direct contact off the blog. I had a profound experience that I can only attribute to my choice to participate in the retreat this year. The story is long as it encompasses the entire retreat timetable and some pieces of the puzzle are very personal. if you would like to have it I would be please to share it in a more private way. Please contact me outside this forum and I will email you my story.